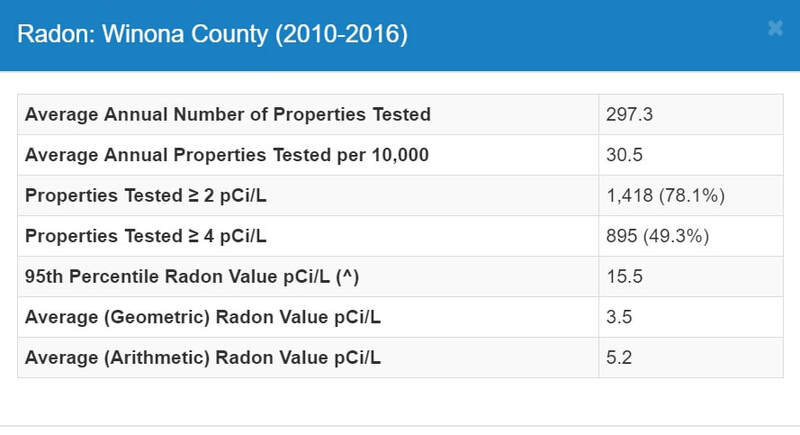 What's the radon level in your county? ﻿“The Minnesota Department of Health strongly recommends that ALL homebuyers have an indoor radon test performed prior to purchase or taking occupancy, and recommends having the radon levels mitigated if elevated radon concentrations are found. Elevated radon concentrations can easily be reduced by a qualified, certified, or licensed, if applicable, radon mitigator. Paul Schollmeier & Efficiency Detectives, LLC is nationally certified and registered with the Minnesota Department of Health to conduct radon measurements with continuous radon monitors. (Certification and training for radon measurement and mitigation is not required in Minnesota. )The requirements are outlined in this document from the National Radon Proficiency Program (NRPP). A second method is one commonly used by home owners throughout the country but is often not procedurally followed. That method involves activated charcoal envelopes or disks that "adsorb" radon during the time they are placed. Placement is important as is following all the instructions for proper sampling and analysis. These envelopes also "desorb" radon while they are adsorbing.